Jon P. Tipton, MD passed away early on the 8th of April, 2019, from Multiple Myeloma in the Hospice Unit of MMH surrounded by his family. Dr. Tipton was known widely in southern Ohio and WV for his work as an allergist. He was a graduate of The Plains High School, Ohio University, and The Ohio State University Medical School. He did his internship at Henry Ford Hospital in Detroit, Michigan and his residency at Ohio State. He had two fellowships to Duke University for his training in allergy and pulmonary diseases. While at O.S.U. he was the president of the Student Medical Association. 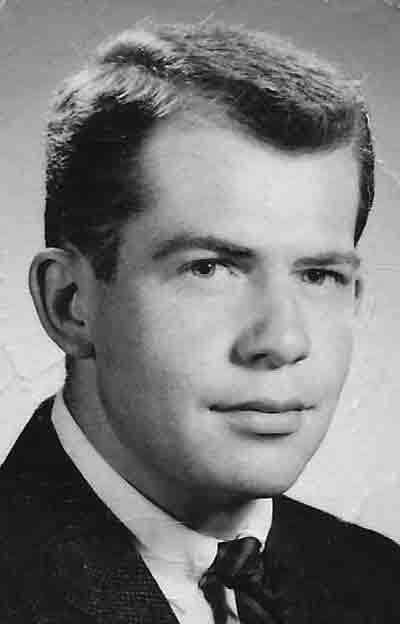 After medical school, from 1961-63 he served as a Captain in the US Air Force where he worked as a doctor in the Allergy Lab at Lockbourne Air Force base. He established his practice in Athens in 1967 and served there for 7 years before moving to Marietta in 1974, where he practiced medicine for another 27 years. In 1995 he helped develop the Respiratory Therapy program at Washington State Community College and served as the medical director for 15 years. He was also the Black Lung Examiner for Southern Ohio. Born 11-8-34 in Lynchburg, OH, he was a son of the late Paul and Jeanette Palmer Tipton, of The Plains, OH. He was preceded in death by his daughter, Paula Tipton Takacs, of Charlotte, NC. He leaves behind his wife of 50 years, Martha Johnson Tipton, a daughter, Nicole Coil (Rob), three grandchildren: Meredith Coil, Adam Coil, and Gray Takacs; and a sister, Joan Tipton Gill (Charlie) and several nieces and nephews. His hobbies included working outside, (When he lived in Athens, he bought a farm and raised sheep) Music (he sang in the Men’s Glee Club at Ohio University as well as in St. Luke’s choir for 30 years) and attending his grandchildren’s sporting events. There will be calling hours at the Marietta Chapel of Cawley & Peoples Funeral Home on Friday from 2-4 and 6-8pm. Funeral services will be held at 10:30am on Saturday at St. Luke’s Lutheran Church with Rev. Steven Mahaffey officiating. Following a light luncheon at the church, burial will be at Greenlawn Cemetery in Nelsonville. In lieu of flowers, donations may be made to Strecker Patient Emergency Fund, P.O. Box 97, Marietta, Ohio 45750 for financial assistance for patients undergoing cancer treatment and to honor Dr. Cawley & nursing staff who were so kind to Dr. Tipton during his 18 month courageous battle against cancer. Cawley & Peoples is honored to server the Tipton family and offers online condolences and many resources by visiting www.cawleyandpeoples.com.